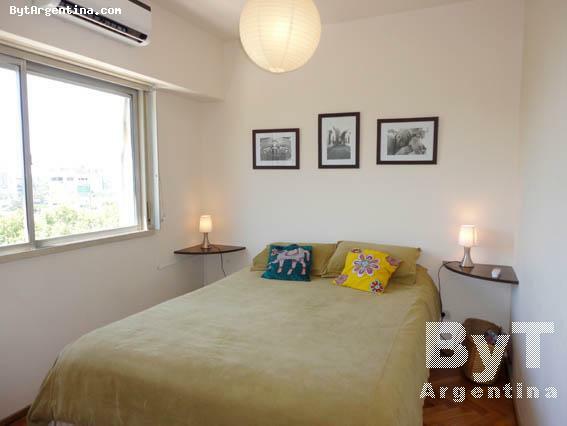 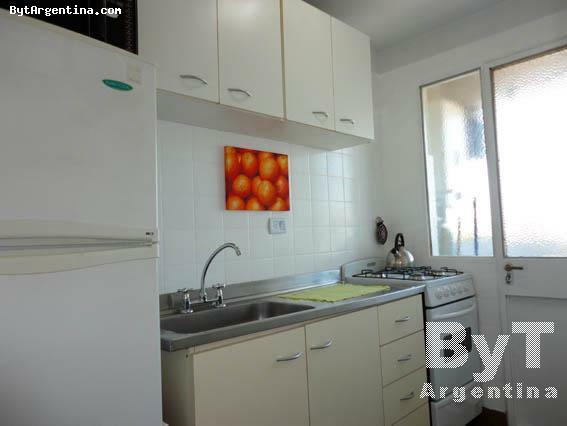 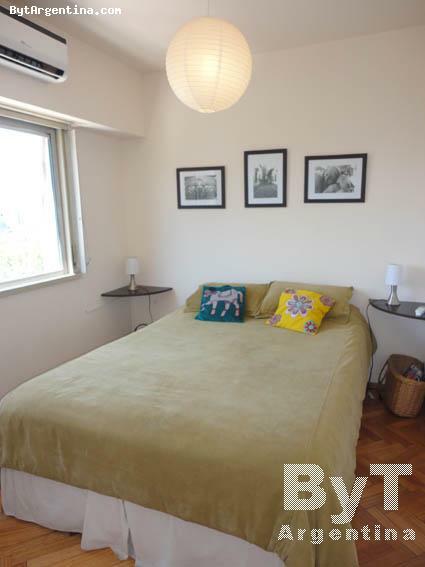 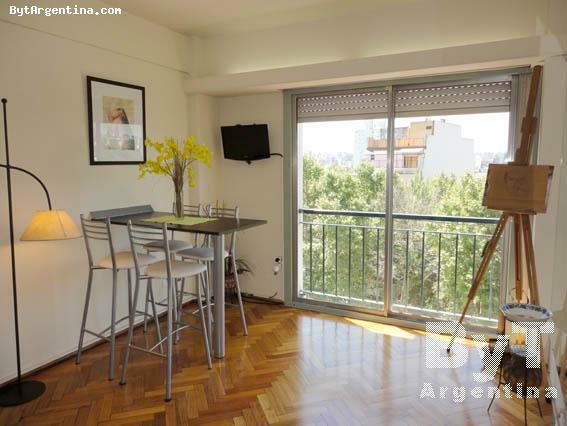 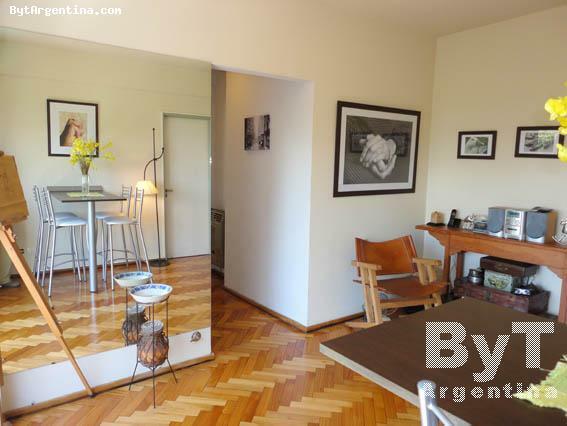 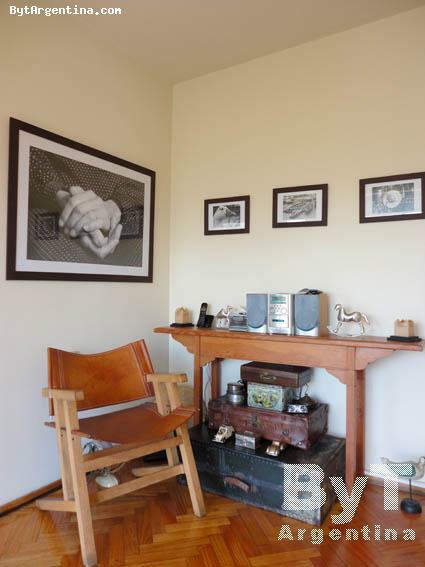 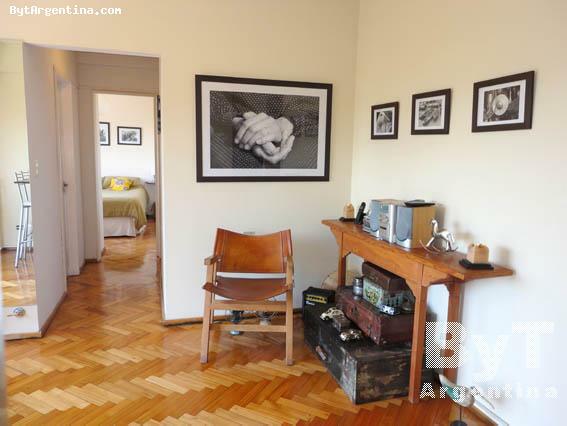 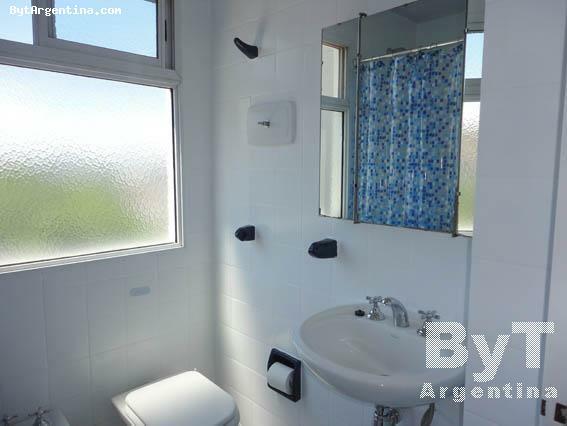 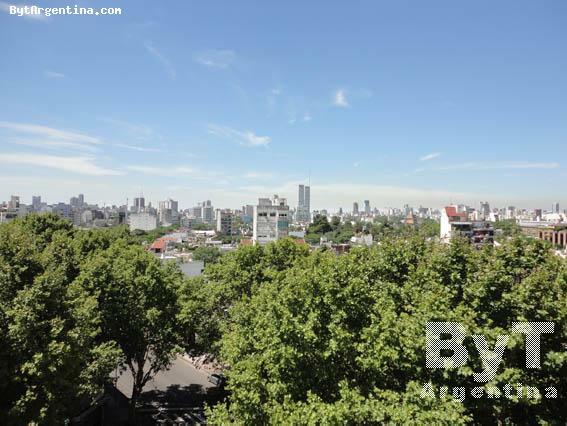 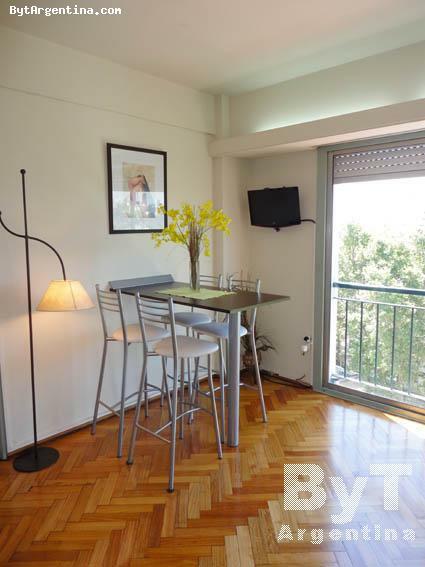 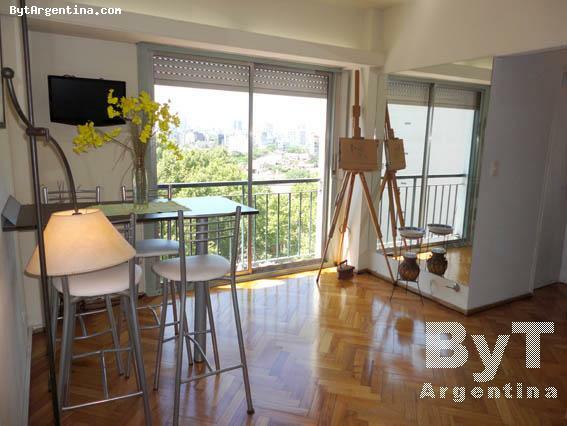 Bright one-bedroom apartment located in Villa Crespo neighbouhood, just one block away from the Corrientes avenue, traditional street with several restaurants, cafes, nice parks and the subway stop. 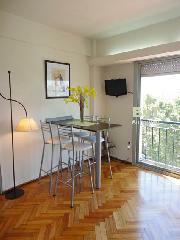 Also walking distance from Palermo Hollywood, an area with an active nightlife. 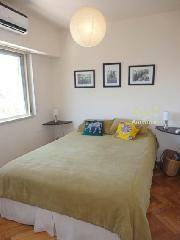 The flat offers a living dining with great windows offering panoramic views, one bedroom with a queen size bed, an equipped kitchen and one full bathroom. 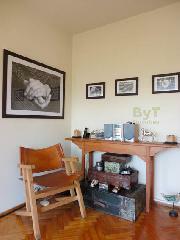 The apartment is equipped with Wi-Fi internet access, cable TV, DVD, stereo, air conditioning in bedroom, fridge with freezer, microwave, dishes, kitchenware, linens and towels. 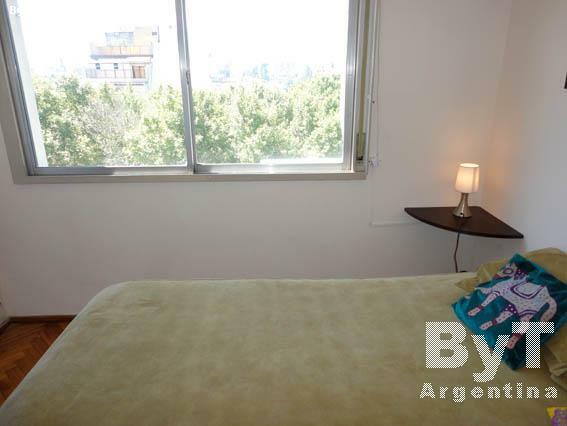 A great option, very comfortable with an excellent location.